bridged the gap between architecture and energy production. Whether you just want to update your PV power and add skylight, or maybe you need to cover and charge your electric car? Lumos is the intelligent and attractive way to create covered space and power in the 21st century. Let Solar Plus show you the smart alternative energy, Lumos, in its most beautiful and functional form! 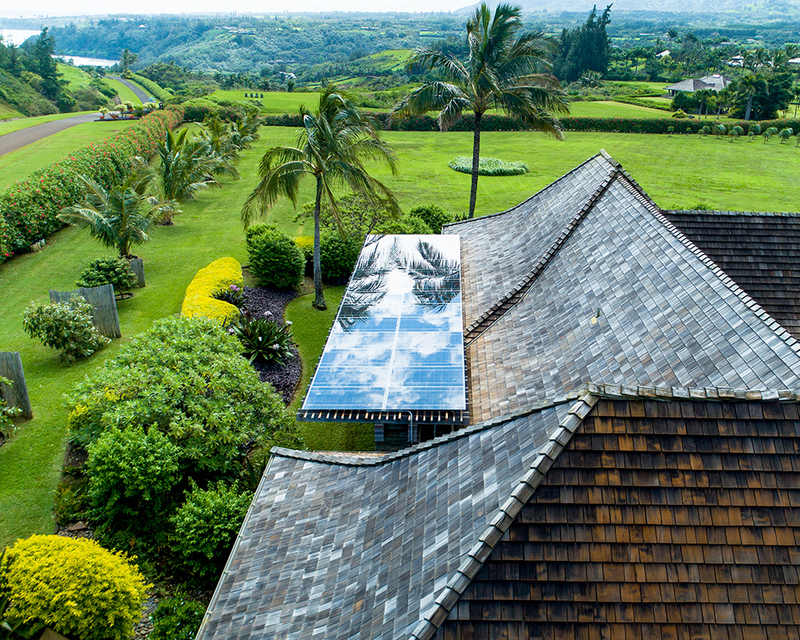 Featured Lumos Solar Project is a residential home in Kilauea, Hawaii with 26 GSX modules. Shown above and below are examples of Lumos Solar installations in The British Virgin Islands (not our installations).